One of the things the SCCM 2012 client push process does is to install .NET 4 onto the client and whilst this appears to have completed something was obviously amiss. 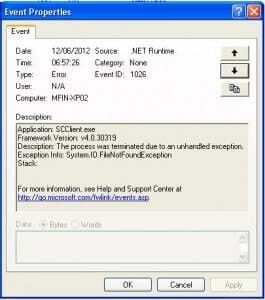 In a bid to confirm my suspicions I moved onto the Windows 2008 SP1 server to check the event log for the same errors. Unfortunatley I was unable to match them and the only sign that something was wrong with the installation was the following selection of errors in the Application log. Event ID 11704 – Product: Configuration Manage Client — Error 1704. 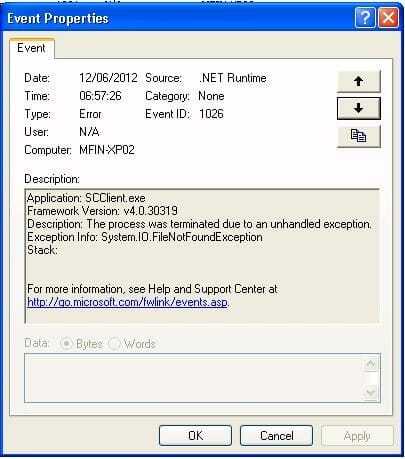 An installation for Microsoft .NET Framework Client Profile is currently suspended. You must undo the changes made by that installation to continue. 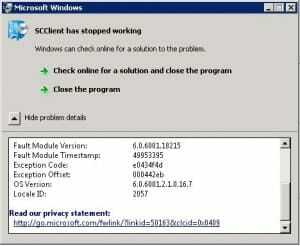 The solution to the problem on both servers was to download and run the .NET 4 standalone installer from Microsoft. 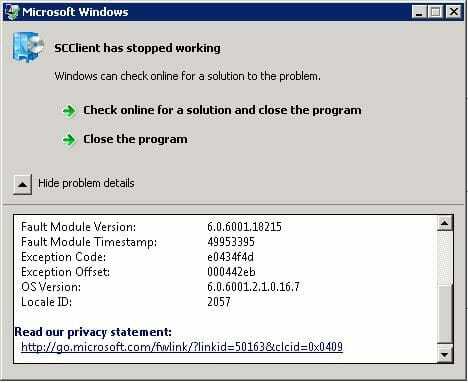 Once the installation had finished I was able to open the Software Center (SCCLIENT.EXE) without any issues. As well as providing cloud computing solutions we also provide consultancy services gained from real world experience especially in the Microsoft System Centre products – SCVMM, SCCM and DPM. We also provide consultancy on leveraging the best out of Hyper-V on ISCSI storage solutions. Our capabilities are proven for both in-house and cloud based deployments. If you would like more information on our capabilities please contact the office to discuss this.